Hello friends! 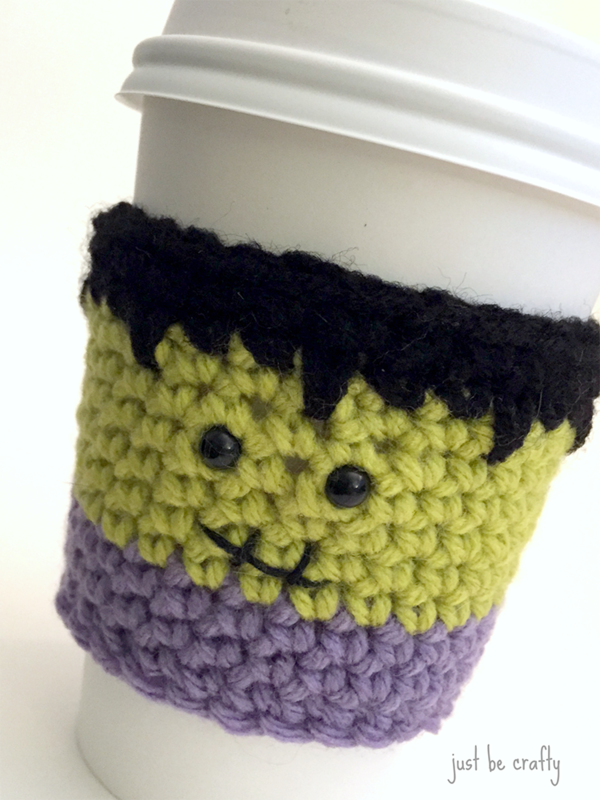 I have a new pattern to share with you today…the Frankenstein Coffee Cozy! 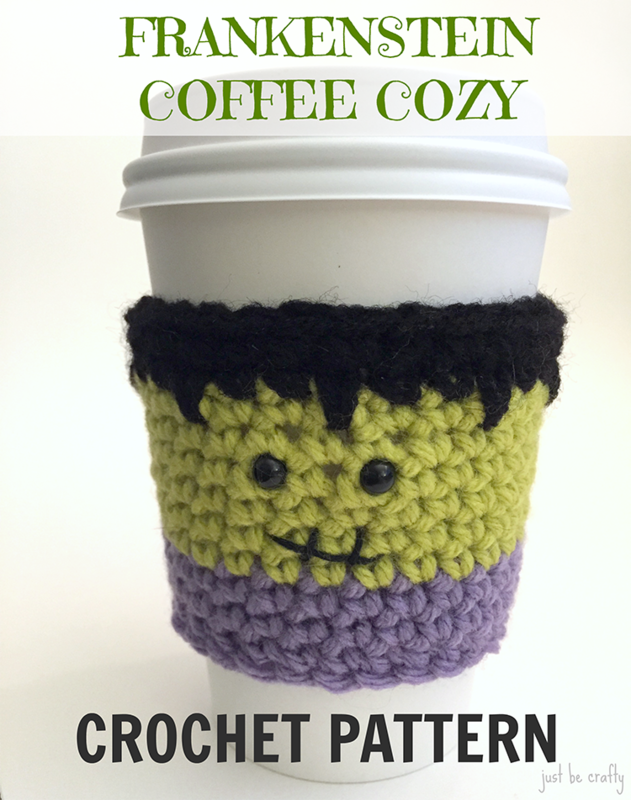 This pattern is part 2 of a 3 part series of spooky coffee cozy friends! With Halloween around the corner I thought it would be fun to make a few inspired cozies to go along with the spooky characters and pumpkin spiced lattes of the season. I really enjoyed this project and hope you do too. It makes for a great stash buster, and can be made with any worsted weight acrylic yarn. For this project I used Michaels brand Loops and Thread Impeccable yarn. 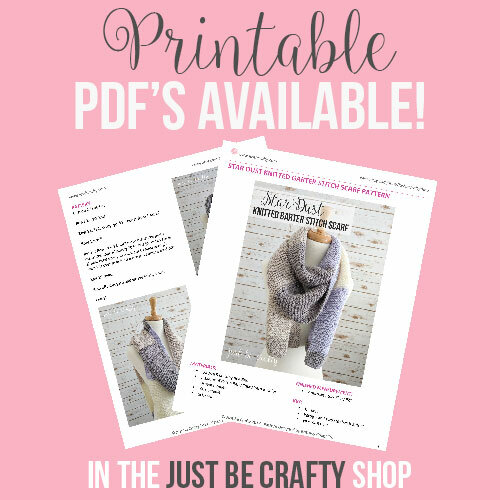 The cozy works up quickly and easily and is oh so cute! Just a word of warning, the most difficult part of this project is attaching the eyes. 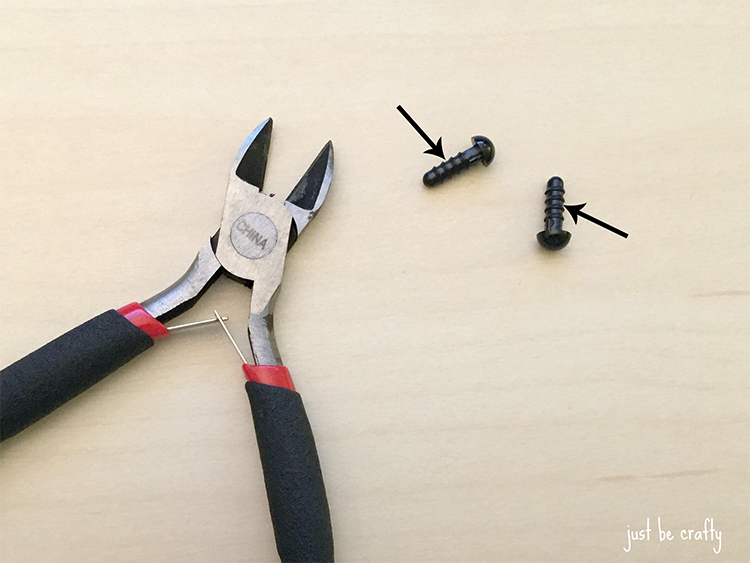 In order for the cozy to fit properly, the safety eyes will need to be clipped with clippers, and once they are clipped it can be difficult to put the safety back on. You will need to have strong hands or a friend with strong hands nearby to help out out with that part! Other than that, this pattern is smooth sailing! Taking care not to twist your stitches, join in round with the back bar of your first chain with a sl st.
Cut Amethyst, and attach Grass using the Seamless Color Change Technique in this post. Cut Grass and attach black using same technique as above. Secure end and cut yarn. Weave in all ends. In order for the cozy to fit properly on your coffee cup the safety eyes will need to be clipped. If you look at your safety eyes, you will see that there are ridges on the ends. Take the wire cutters and clip the safety eyes so that only two ridges remain on the safety eyes. See below for a visual. The arrows below are placed where you will want to make your cuts. 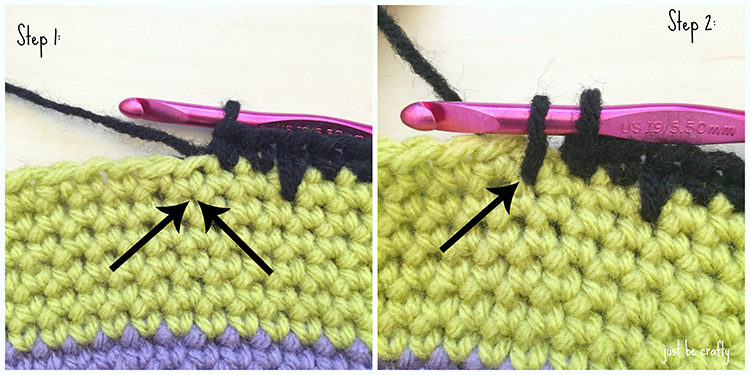 Using the photos as a guide stitch on the mouth with your yarn needle and embroidery floss. Secure and weave in any tails.